The other day I read an article about Rudyard Kipling, the celebrated author who spent his last few years in deep regret and remorse. The poem My Boy Jack, was written by him in these years. The poem is filled with regret and pain. It points to some glaring realities of war and makes us realize we are answerable to our future generation. Rudyard Kipling completely believed in the war and its reasons. He was a staunch patriot and when his son wished to join the army, Kipling senior completely supported it. So much so that when John failed to clear the medical examination, Rudyard used his influence to get his enlisted in the army. When the war began, John was only 17 and he died just after his 18th birthday. The young boy was first listed as missing in action after the Battle of Loos. Rudyard Kipling spent more than 3 years trying to find his missing son. It was much later and after a DNA test that his son’s grave was identified. His son was one of the 59,247 lives lost in the Battle of Loos. After John was declared missing, Rudyard was filled with guilt and was completely disillusioned by the purpose of it all. He worked tirelessly to find his son and get some news about him. His anguish as a defeated father, a civilian and a survivor is seen in many of his war related works. 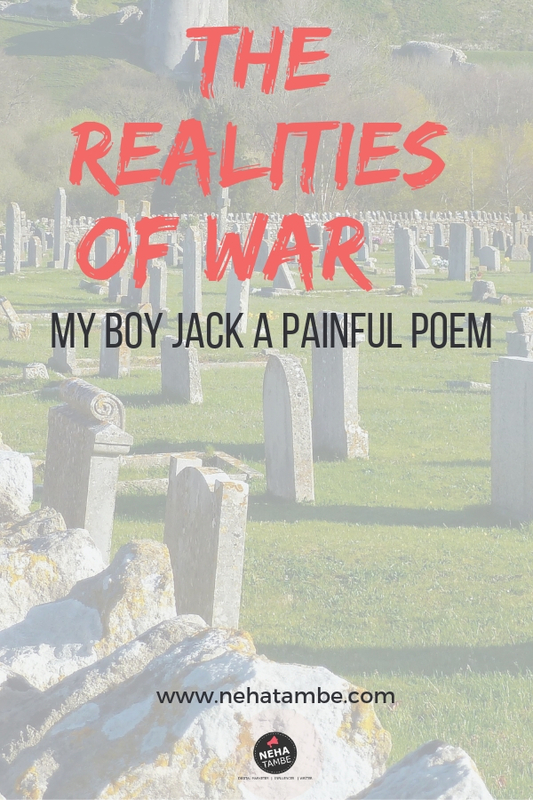 While the poem ‘My Boy Jack’ talks about his pain; his writings like “If any question why we died, / Tell them, because our fathers lied,” portrays his guilt and angst. There must have been so many like John on both sides of the battlefield. Not everyone had the influence or power that Rudyard Kipling had. Many families might not have found any closure and many might have destroyed themselves while being burdened by guilt and regret. Even today there are wars, occupations and militancy mushrooming around the world. After reading Rudyard Kipling’s words all I can think of – Was it/ Is it really worth it? I’m really deeply moved to find someone who is anti-war today. The world has forgotten the lessons of the two world wars and, today, around the world, people seem happy to beat the war drums. Our country, in particular, appears to find satisfaction in patriotism only against a background of hostility. The funny thing is that our two major mythologies are both powerful and hard hitting anti war stories. Your post is unique in its message and timely. Best thing I read today, You could make a movie on this. With War we loose everything and achieve nothing.Very touching article. We should understand the fact that war is not the solution. It brings destruction only. Loved your content. Neha this post has a poignant truth about our ecosystem. How much we hate the word war but it has been forced on mankind due to some fuelling egos and selfish acts. The perspective of this post is different and pne must learn from this. That’s such a heart touching share, war is never good for anyone . War not only destroy your from inside but affect inside too. I’m happy I read this post today. Yes, war isn’t a solution for anything in the world. Let peace sustain. Correct , no side gains from war. Wonder when will people understand this. Lovely post you shared Neha, food for thought. The aftereffects of war are never pleasing for either sides. There is pain and loss both sides. World needs peace not war. War is never good for anyone – it never has and it never can be, only if people understood. 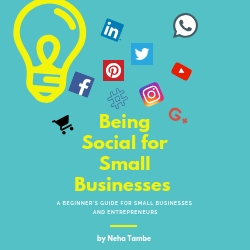 This is a lovely post Neha. A very interesting read. The poem is so emotionally wrenching. The feelings of a parent are so real and comes out truly in this poem. Thanks for sharing.